Behind the Wall is where families harbor untold stories. They start when a loved one’s mental illness begins to manifest, changing the lives of everyone around them. Although nearly 20 million Americans suffer from a serious mental illness, there remains a stigma against brain disorders, discouraging honesty and understanding. Often conflated with violence, mental illness remains hidden behind misconceptions. But when the true stories are told, healing begins. It’s a perspective unique to parents, the people who were there from the beginning, the only people who lived with their loved one’s mental illness every day, who fought lonely battles on their behalf, who brought their insights to the medical profession, and who helped chart a course for hope and recovery. Behind the Wall is where we begin telling those stories, sharing each little victory as we break through the stigma. For a list of upcoming readings and events, click HERE. 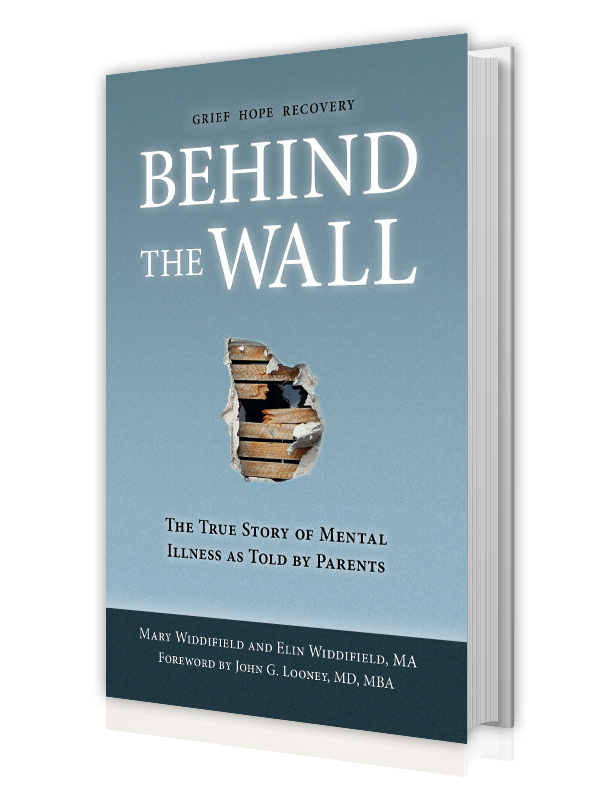 As a board member of a NAMI Affiliate Group (The National Alliance on Mental Illness), I cannot say enough about how helpful this book is for family members. It portrays our trials honestly without reservation. I recommend this book for use in NAMI’s Family-to-Family education classes.